Contact Crowne Atlantic To Buy a Business. Start Earning Income. 100% Confidential and Trusted. Crowne Atlantic Business Brokers specializes in helping buyers find businesses that meet their expectations. After selling hundreds of businesses, we realize that each buyer is unique from their motivation for buying a business in Florida to the level of experience they have with the process. We also understand that the actual purchase of a business is far more complex than the desire to own part of the American dream. For this reason, having an experienced Florida business broker guide you through the process and protect your interests is vital to successfully buying a business in Florida. When Business Brokers receive calls from business buyers, it helps to know what their time-frame is. If they are ready to purchase the moment they see something they like, it is a good time to start searching. However if a buyer is working abroad or simply isn’t currently prepared to purchase a business, they should probably limit their calls on specific businesses. Instead if one is not ready to purchase, a better approach would be simply to introduce themselves to a business broker so they can keep a look out for businesses for sale when the time comes. In the Business Brokerage industry, financing for businesses is one of the strongest impediments buyers have between them and purchasing their dream business. Eighty percent of businesses on the market at any given time will not qualify for any sort of bank or SBA financing. However, over 80 percent of the business buyers that call on businesses for sale need some sort of financing to purchase a business successfully. Sometimes business brokers can bridge that gap with some owner financing from the seller and sometimes bank financing is possible, but it is important that buyers know what kind of cash they are working with. Buyers should be up front with both brokers and sellers and state how much cash they are willing to work with if the deal looks good. This is highly recommended because if the cash is right, the sellers are more likely to grant buyers better deals and if the cash just is not enough, Buyers will save themselves a lot of time. When searching for a business for sale or when you have a business broker search potential businesses on the market for you, it is important to know what businesses you are open to and which ones you absolutely do not want. A large number of business buyers call business brokers and are looking for what they consider “an ideal business” however in many cases they ultimately have no idea what they want. We advise buyers to put together a wish list of things that they would like to have, because it gives both Buyers and their business brokers a guide to work with throughout their search. These are examples of desires that buyers have requested over the years: A Monday-Friday business with no weekends, a business that doesn’t involve a lot of selling, a business that does not operate late at night, a business that deals with Orlando and Disney tourists. As business brokers we try to match Buyers with businesses that fulfill as many of their requests as possible. Business Brokers receive a lot of calls from buyers who would like to own a business but have not quite figured out how they will run them. Buyers need to figure out how they are going to run a business upon purchasing it. Will it be them, a spouse, or a trusted friend that runs the business? 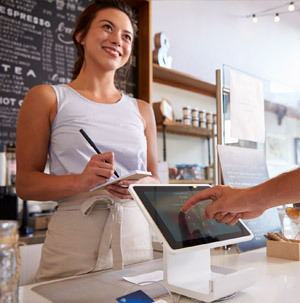 Buyers expecting that they can simply find businesses for sale that they could automatically run absentee typically have a harsh awakening when they find out that very few small businesses operate without any owner input on a weekly basis. If buyers plan on purchasing businesses, but plan on putting a manager in place to run things for them, they need to typically have a potential plan in place prior to beginning their search to buy a business. 5) Know your performance abilities. Buyers need to know what their skill sets are. If some Buyers do not like outbound selling or working with their hands, it is important to factor that into their business search. Buyers that do not like to work with their hands might want to avoid installation type businesses, and instead opt for professional businesses or distribution type businesses. Buyers that do not like outbound selling should probably avoid some service based businesses and perhaps focus on more established businesses that have a salesperson on staff or they could go into retail which often does not require hard selling skills. 6) Know what geographic location you want the business to be in. At Crowne Atlantic Business Brokers, our advice on location is simple. You can find great places to live anywhere in Florida, but you can’t always find good businesses to buy everywhere. For this reason, it is important for business buyers to know what kind of areas and locations they are open to. Once this is known, business brokers can help buyers find specific types of businesses for sale in their chosen areas. Being in the position to tell a business broker up front what areas would be ideal gives the broker ability to give an estimate on what a buyer’s chances are. For example, if a Buyer comes into Crowne Atlantic tells us what areas they would like to have a business in, what kind of capital they have to work with, and what kind of return they are hoping for, we can actually give them an estimate of how difficult or easy it will be to accomplish their goals. 7) Know how much money you want a business to make and how much money you’re willing to spend to get it, also known as Return On Investment (ROI). When Buyers search for businesses selling on the market in places like Florida they will start to see a lot of different price to earnings ratios. Buyers have to develop a scenario to see what kind of capital they have available and what kind of return on their money they are hoping to get. Knowing this ahead of time will make any search go much quicker. Many Buyers believe most businesses on the market are too expensive. Some are and some aren’t. However Buyers need to keep in that they will get what they pay for. If a buyer searches for businesses that net over $200,000 in profit a year, chances are the prices for those businesses will exceed a certain minimum a buyer will have to pay in order to get those opportunities. A skilled business broker can typically give business buyers an estimate of how much they will need to spend to get in order to get the return on investment ROI that they are hoping for. Many buyers we speak with are trying to go about purchasing a business like they purchase a house or a car, and unfortunately that is not always the best approach simply because businesses are ongoing and active entities. The process of purchasing the business should be closer to the process one would engage in when starting up a new friendship, not the one that is used when buying a grill at the mall for the cheapest price. Buyers should be looking for businesses that fit their personalities and meet their financial and personal needs. The goal for every business buyer should be to purchase a quality business, not to save $1,000 by cutting corners. 8) Know how to spot the positive attributes of each business. The easiest thing for Business Buyers to do is spot the negative aspects of a business they look at. This however is not a difficult thing to do, and unfortunately it is these tendencies that prevent many of those Buyers from ever purchasing a business. The bottom line is that there is no perfect business because if there was everyone would be in that business. The successful business buyers are the ones that immediately think about how to rectify any imperfections that they encounter. The goal of these buyers is not to dwell on the negatives, but to focus on what they would do to improve the business once they own it. Sometimes all it takes for a new owner to increase profits is to update the business to a new computer system, or find a more responsive supplier, or to hire a more qualified employee. 9) Know your risk tolerance. Often times business buyers want guarantees from a seller that the seller cannot offer. The seller of a business can only guarantee a buyer so much. They can estimate or predict that employees, customers, and vendors will stick around for business as usual, but there’s no way for sellers to guarantee this. The reality is that purchasing a business and simply owning a business comes with an element of risk. If the risk were not present, everyone would own a business. The risk that businesses take on is the factor that allows businesses to make the profits that they do. Buyers that look for guarantees on everything with little risk will be disappointed. Successful business buyers examine risk by looking at worst case scenarios along with best case scenarios. By using this method, Buyers come up with potential scenarios that they may have to deal with and how to solve them in the future. It is this kind of thinking that helps business owners prepare for and deal with any issues that pose risk to their business. 10) Know who is best qualified to give you advice. If you’re a buyer that likes to solicit opinions from those around you on business ventures you are entering, you have to make sure you pick your advisors carefully. Often times business buyers will solicit opinions from random people that have zero experience in the business they are looking at such as friends, neighbors, and father-in-laws. Before Buyers take business advice from associates, they should factor in who their associates are and whether or not they are qualified to give opinions in these scenarios. Buyers also need to make sure they hire the right professionals to help them purchase a business. If a Buyer is seriously looking to purchase a business, it is recommended they find for example a business attorney to go over contracts as opposed to hiring the family friend that does personal injury law to be their business attorney. When Buyers hire professionals to work with them, these professionals are often a reflection of how they will run and operate a business in the future. This is why finding the right professional is so important. Do some research and find a qualified business broker, accountant, attorney, or even a contractor that not only can do the work, but one that you feel comfortable with. When working with those looking to buy a business in the Central Florida and Florida area, our primary task is presenting them with the right business for them. We realize that buying a business requires a significant portion of personal resources. For that reason, one of our greatest responsibilities includes helping each buyer evaluate whether or not a business opportunity is a right fit for them. From exploratory meetings with buyers to in-depth reviews of your needs, Crowne Atlantic is dedicated to investing in your success through hard work and heartfelt commitment. Every year Florida has more and more incoming residents. Florida is a state where both industries and families are looking to relocate to. While the rapidly growing population is great for business, it also makes for fierce competition when families and companies want to purchase other companies in the area. To help work with the huge business buying population business brokers in the state of Florida have banded together to create the largest known cooperative group of business brokers in the world. It is for this reason and many others that buyers looking to purchase a business in the state of Florida should work with business brokers. 1) Florida Business Brokers have more access to information and businesses for sale than Buyers do. Sure Buyers can find some businesses for sale online and in a newspaper, but Florida business brokers have access to more businesses for sale than buyers could possibly ever find on their own. Not only do business brokers have their own group of listings but many brokers have access to other brokers’ listings as well. They can scan through potential business candidates faster than a buyer can. They also may have knowledge of business owners that are open to selling in the area but are not formally on the market. 2) Florida Business Brokers have access to all the paperwork you need. Think about how much easier it is when you see a business and instead of hiring an attorney for a few hundred dollars you can simply turn to an official business broker and they can write you an offer for FREE! They have nondisclosures prepared for sellers and also have presentations prepared for buyers to neatly lay out all the highlights of each business for sale. 3) Business Brokers can be used to help in negotiations. Think you’re a negotiation expert? Well if you are, then you already know how valuable a business broker can be when negotiating for a business. Say you’re a buyer looking at a business and you want to see if a seller will accept a much lower offer than asking price, but you don’t want to come off as insulting to the seller. Have the business broker ask for you; let them take any potential heat. Want to make an offer but you want to any in-person negotiations on price? Have the business broker step in and convince everyone to put everything on paper. This allows both buyers and sellers to gather up their thoughts and put down on paper what they would like. The options are endless because the goal of the business broker is to make a deal work for a Buyer and Seller. Many times the business broker is there to bridge the gap. 4) Business Brokers are familiar with the local laws, zonings, and requirements new and previous owners will need to fulfill. Every community has local laws and zoning restrictions that businesses need to follow. These regulations come into play heavily when it comes to retail and industrial type businesses. Seasoned business brokers often have the inside track and can advise both buyers and sellers on what they can and cannot do. This includes how much parking availability cities will require, or what it will take for buyers to obtain a liquor license, or whether or not a business premise will be ADA compliant. All these are hidden factors that buyers and sellers typically overlook but business brokers have insight on. As business brokers we are approached all the time by professionals offering their services. We also encounter many of the professionals that have helped our clients over the years. We can recommend some of Florida’s best experts to help you achieve your goals. We can refer attorneys, contractors, repair services, food vendors, accountants, sign people, product promotion people, website builders, SEO professionals, lenders, mortgage people, real estate people, and furniture/ equipment wholesalers. Tell us what you need and we can figure out how to get it. If you would like information on buying a business please feel free to give Crowne Atlantic Business Brokers a call at 407-478-4101.